I don’t know about you, but I am a total sucker for new beginnings. 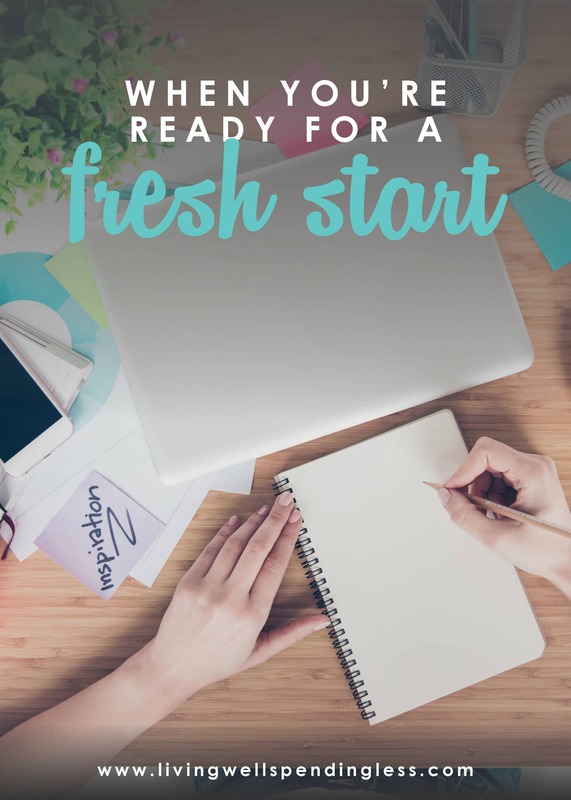 Whether it is the start of a new year, spring cleaning time, or any change in seasons, I always get a little giddy at the thought of a fresh start! And right now in the Soukup family, we are right in the midst of a whole list of changes and new beginnings. We just got back to Florida after a summer away, we’ve got new teachers, new routines, a new set of rules and chores and bedtimes. And all this change is pretty exciting. It’s also a little bit scary. As moms it is always nerve-wracking to watch our kids venture into uncharted territory, not knowing whether they will soar or stumble. 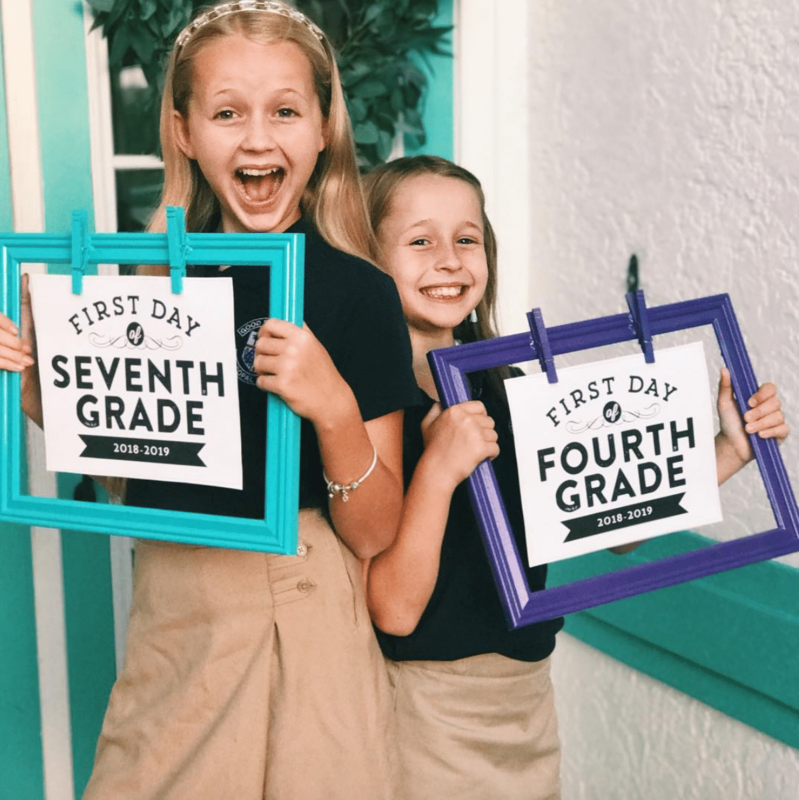 But the truth is that back-to-school time is usually a time of fresh starts and new beginnings for us too! This is the time of year where we settle into new groove, commit to new activities, and try to take back our lives from the chaos that inevitably happens over the summer, despite our best intentions to stay focused. Fall is our time to get reorganized, get our budgets back on track, and to maybe even find a little time for ourselves again. But just like for our kids, these new beginnings can be both exciting and scary at the same time. It’s exciting to think about all the possibilities that this clean slate has to offer, but scary to think about what could go wrong. What if we put ourselves out there—volunteer for a new activity, try to start a new business, attempt to get back in shape, or perhaps even join a new book club—and something goes wrong? We screw up, or worse yet, we fail or rejected? In other words, sometimes we have to do it scared. And so, my challenge for you this fall, as we head into a whole new season, is to start fresh. Let this fall be a brand-new beginning for you! We’ve all had dark and frustrating or chaotic and overwhelming times at some point or another, but it sometimes it is that darkness that lets us appreciate the light. And now at the beginning of a new month and a new season, we get a do-over. It’s a free pass. So dare to do that thing you’ve pondering. Dare to push yourself past your comfort zone, and have the courage to do it scared®. **IMPORTANT UPDATE**: Please note that the September 1st shipment of our floral Living Well Planner® is now sold out. Our last shipment of the year will begin shipping on November 15th. You can still place your order now to take advantage of our pre-order pricing, but you will not receive your planner until November. Please be aware that all planners are shipped in the order received. Because quantities are limited and selling faster than anticipated, we recommend placing your order as soon as possible. If you need a planner sooner than November, you can still order our Limited Edition Blue Stripe planner HERE. You see, as a special gift, you’ll receive my 2 very favorite sticky note pads FREE with your planner purchase—the Weekly Wizard™ (an $8.50 value) and the Daily Do-It™ (a $9.50 value). 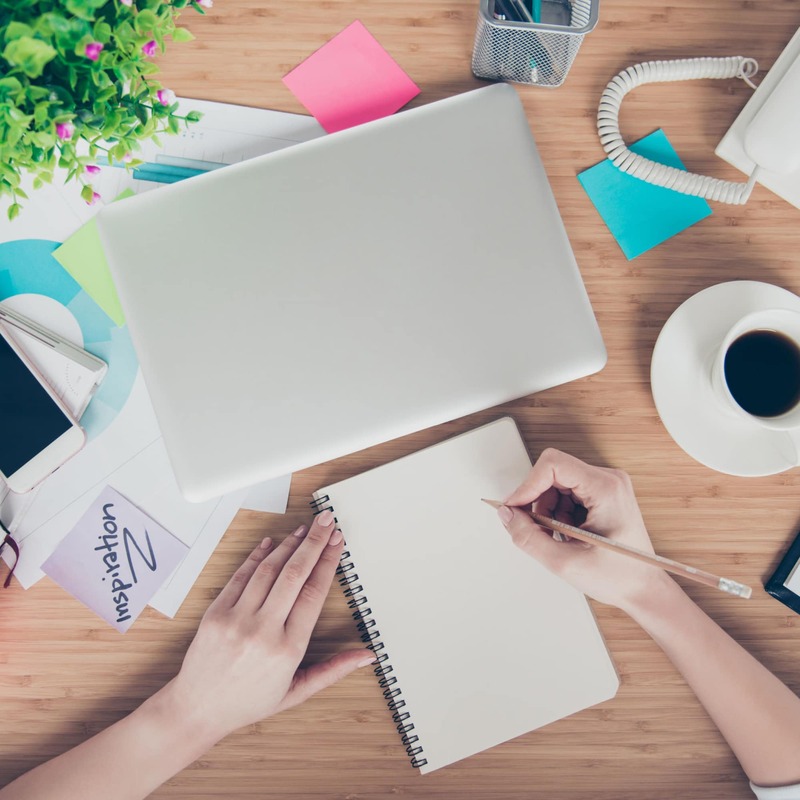 Both are designed to work with the planner to help you better organize your week and your days, respectively, by helping you prioritize your to-do lists to make sure that the most important things get done first. Best of all, you can stick the right into the weekly planning pages of your planner to keep yourself on track all week long! It IS possible to crush your goals and create a life you love, even in the midst of a never-ending stream of responsibilities. Order the Living Well Planner® today, and get started right away! 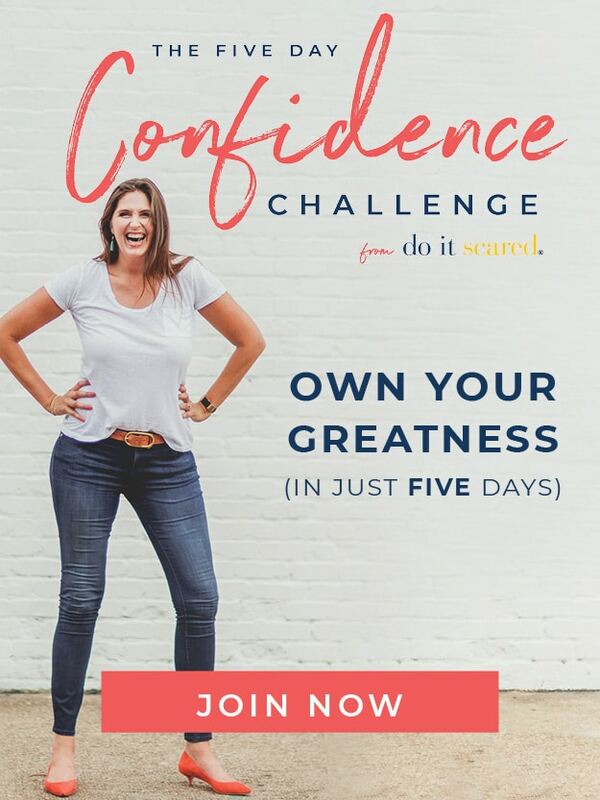 I’ve ordered my planner, started listening to the Do It Scared podcasts, am reviewing the Goal Setting workbook, have access to the Crushing it Mini Boot Camp. I’m excited. 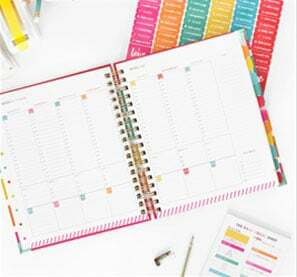 I am so ready to receive my planner and get started – I can’t stand the wait! I’m like a kid at Christmas! Such a great reminder that we can always start fresh! I usually think of fresh starts for January, but it’s true that we get back into a new routine each school year, too. As a busy mom of 5 kids, I have a new start each time they have a new school year, too. I’m ready to get organized. Hey ruth, I just wanted to let you know that your podcast do it scared gave me the kick up the arse i needed to start eba again. the tech stuff scared the hell out of me, I had personal stuff going on at home and i just froze. I only started working, got eba in March. completed Unit 1 in April. Left it until June when I found your podcast and now im back at again. I cant thank you enough for your inspiration. You reminded me that I really do not need to be living the life that I was living and that I have so much potential. I don’t have my planner yet, still waiting for it to arrive. But i have been implementing all of the startergies suggested on the crushing it page and my productivity has maximised x1billon! for the last 2 months I have been planning every single day and making sure that I include those important A tasks which help me closer to my goal. Can’t thank you enough for the inspo!!! Love this. September has always been my New Year. I love a fresh start. Great blog. just finished your book “Living Well Spending Less.” Started and finished it today. I am deeply moved by your words. I’m so far off-track that I don’t even know where to start! So I’m just digging in, trying to find my way and asking God to lead me. I feel like I have a heart like David along with all the mistakes he made as King. However, I’m far from royalty! 🙂 I can’t thank you enough for writing this book, I believe everyone needs to read it! There are so many areas I need to work on and I’m feeling overwhelmed! Just a little of my background info. I’m married with two beautiful boys ages 10 and 13, I’m an Oncology Nurse, President of the PTO, and I just said yes to teaching 4th and 5th grade boys PSR class at church (otherwise known as religion class). I grew up Baptist and I have only been Catholic for a couple years. EEK! I live in a rural community made up of German Catholics. No Baptist around here! Lol. Oh, the struggle is real! I need just a little help,were is a good place to start? There is this website, then a Crushing it website (I think), and your Podcast. I’ve joined the FB community and have responded to a few posts. Hi Ruth! I think you are awesome. I’ve been getting the planners for 3 years now, and it all started with your book “Unstuffed”. I just got my new floral planner and I have one concern….I thought the paper had been upgraded this year from 70# to 100#. A significant change….but I can’t tell the difference and I did a marker test and it actually bled through worse than last year. Are you sure the paper is heavier??? None of us can see the difference. Thank you!